After a brutal late 2018 selloff, financial markets have been on a healthy and stable recovery path thus far in 2019. Through the first three months of the year, the S&P 500 is up 12%, marking one of its best starts to a calendar year in recent memory. As broader financial markets have stabilized, growth stocks have come back into favor. Indeed, one could say that they’ve done much more than come back into favor. Many of them have rushed to fresh all-time highs in 2019, and that’s after big corrections in late 2018. That means that a handful of these growth stocks have staged huge rallies over the past three months. Which stocks fit into this category? And can these big rallies last? These are questions investors should be asking as we head into what projects to be a more volatile time for financial markets throughout the balance of 2019. 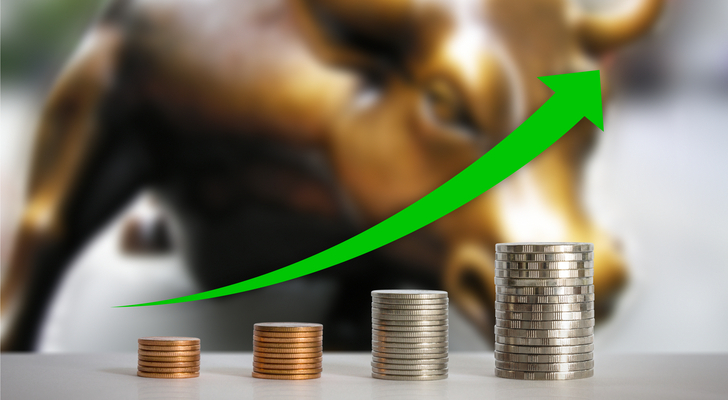 As such, let’s take a look at seven growth stocks which have raced to all-time highs in early 2019, and analyze whether or not their big rallies can continue. Why It’s at All-Time Highs: Shares of consumer robotics giant iRobot (NASDAQ:IRBT)have run up to all-time highs prices on the back of a strong double-beat-and-raise fourth-quarter earnings report that emphasized a few positive trends, including continued robust robotic vacuum market expansion, strong margin growth and a mitigated tariff impact. Where It’s Going Next: The long-term IRBT growth narrative is positive. This company is morphing into a consumer robotics leader with minimal competition, and as such, will be a big revenue and profit grower for a lot longer as the consumer robotics space expands. Such big revenue and profit growth will keep IRBT stock on a long-term winning trajectory. But, in the near term, the valuation seems stretched at nearly 40x forward earnings. This stock needs to trade sideways for the foreseeable future to allow the fundamentals to catch up. Why It’s At All-Time Highs: Shares of e-commerce solutions provider Shopify (NYSE:SHOP) have notched new all-time highs thanks to renewed macroeconomic confidence and a strong Q4 earnings report in which growth hardly slowed and margins continued to move higher. Where It’s Going Next: In the big picture, Shopify stock is powered by a secular growth narrative that goes something like this: the world is becoming increasingly decentralized thanks to technology democratizing creation and distribution processes. Shopify is enabling and empower this decentralization in the retail world. As this decentralization trend continues to play out over the next several years, Shopify’s merchant base will grow by leaps and bounds. Revenues will roar higher. Profits will, too. So will SHOP stock. As such, the long-term narrative here is very bullish — bullish enough to make this a long-term buy-and-hold stock. Why It’s At All-Time Highs: Shares of Canadian cannabis company Cronos (NASDAQ:CRON) have more than doubled in 2019 and run to fresh all-time highs on the back of a multi-billion dollar investment from tobacco giant Altria (NYSE:MO). Investors have interpreted this investment as a major vote of confidence from a well respected global tobacco giant, at a time when global cannabis market fundamentals are improving. Consequently, they have bid up CRON stock to new highs. Where It’s Going Next: The cannabis market projects to be really, really big one day. With a multi-billion dollar investment from Altria in its back pocket, Cronos has the necessary financial resources, business know-how, and distribution networks to one day turn into a major player in this global market. It’s fair to say that the stock has gone too far, too fast, and needs to cool off. This is likely what will happen. But, after that cooling off period, CRON stock will resume its uptrend, because the long-term fundamentals here of Cronos turning into a global cannabis giant are quite promising. Why It’s At All-Time Highs: Shares of online home retailer Wayfair (NYSE:W) have surged over the past few weeks to all-time highs thanks to two things. One, confidence in the macroeconomic environments in the U.S. and Europe has dramatically improved. Two, Wayfair’s margins finally stabilized last quarter, and that stabilization coupled with continued robust domestic and international growth served as justification for what had been several quarters of big investment. Investors rallied around those numbers, and bid up W stock to new highs. Where It’s Going Next: Wayfair is a big growth story. This company has differentiated itself as the leader in a secular growth online home retail market, and this market is very big. Management pegs it at $600 billion in the U.S. and Europe. Revenues were under $7 billion last year, and grew by over 40% year-over-year. Thus, there is lots of runway for Wayfair to remain a big growth company for a lot longer. Having said that, the valuation is a tough pill to swallow here, especially with profit margins still very weak. As such, I wouldn’t chase this rally. But, I would buy any big dips. Why It’s At All-Time Highs: Programmatic advertising leader The Trade Desk (NASDAQ:TTD) has exploded to all-time highs over the past few weeks thanks to a robust double-beat-and-raise fourth quarter earnings report which underscored that this company’s growth narrative is still accelerating, and that big growth is here to stay for a lot longer. Where It’s Going Next: The Trade Desk is a secular growth company powered by still accelerating tailwinds in automation and advertising. Over time, all $1 trillion worth of global ads will be transacted programmatically. That means that Trade Desk, which had under $3 billion in gross spend last year, has a huge opportunity in front of it to grow gross ad spend towards $100 billion-plus. If management successfully executes on that opportunity, TTD stock will head significantly higher in a long term window. Why It’s At All-Time Highs: Shares of Etsy (NASDAQ:ETSY) have surged to all-time highs over the past few weeks thanks to robust holiday numbers which were strong across the board, including robust community, sales, margin, and profit growth. Investors cheered those results, and bid up ETSY stock to fresh highs. Where It’s Going Next: Etsy is a big growth company with strong growth drivers in e-commerce. But, there’s lots of competition here, from Amazon (NASDAQ:AMZN), eBay (NASDAQ:EBAY), and others. To be sure, Etsy has held off that competition, but that’s because Etsy dominates a niche of the market, meaning that growth won’t remain big forever. Eventually, it will tap out, and so will margins. That may happen sooner than most expect, and at over 60x forward earnings, a slowdown could be catastrophic for ETSY stock. Why It’s At All-Time Highs: Digital education platform Chegg (NASDAQ:CHGG) has roared to all-time highs on the back of a strong Q4 earnings report which included robust subscriber, revenue, and profit growth, as well as a healthy first quarter and fiscal 2019 guide. Where It’s Going Next: CHGG stock will head higher from here. Why? Because the company is the unchallenged leader in the digital education market, and that market is far bigger than what the company is currently penetrating. At scale, Chegg will transform into a must-have digital education tool for all high school and college students. It is only a fraction of that today. As such, big growth is here stay for a lot longer. Such big growth is also accompanied by big margins. The combination of big growth and big margins will inevitably power CHGG stock higher in the long run. As of this writing, Luke Lango was long SHOP, TTD, AMZN, EBAY, and CHGG. Article printed from InvestorPlace Media, https://investorplace.com/2019/03/7-growth-stocks-racing-to-all-time-highs-fgim/.